Azura Page Builder is a powerfull drag & drop back-end builder for Joomla. That help you build your website in a few minutes without coding knowledge required. What makes Azura Page builder the best? Build a responsive website and manage your content easily with super fast back-end builder. No programming knowledge required – create stunning and beautiful pages with drag and drop builder. Right from the start Azura Page builder is here to help you with ready to use content elements. Literally within minutes, you can build Joomla pages and page layouts with drag and drop interface without touching a single line of code. Every element has muliple options ( General, Style, Typography and Animation options ) which allow you create any unique style content. The page builder also support dependency option field which is useful for you to know what options is required. It's easy for you to show or hide elements from the front-end. Every page section ( Row element ) and whole page layout can be saved as a template which can be used on the other pages. This save your ton of time in making your large website. 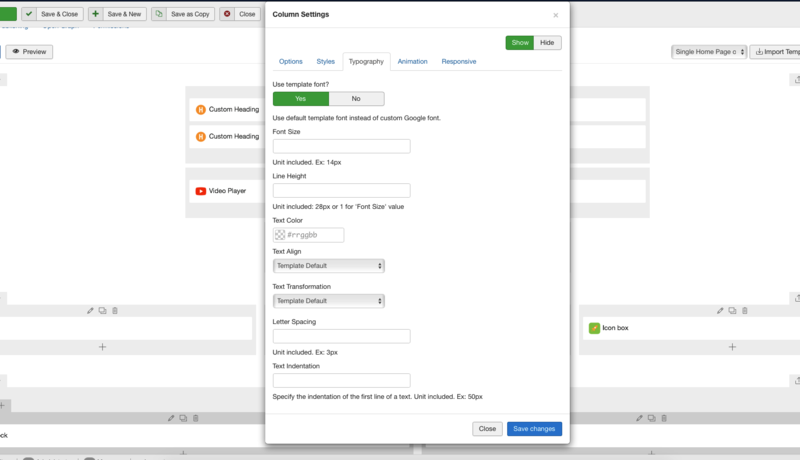 The page builder also support custom style. Specifies which users are granted access to page, as well as what operations are allowed to be performed on given page. 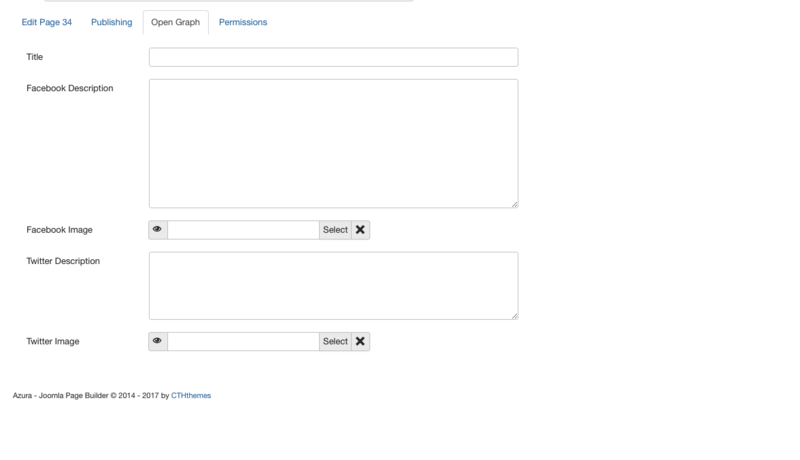 With Open graph option tab you can enable any page to become a rich object in a social graph. It supports for Facebook and Twitter. With Azura Page builder your content will be accessible on desktop and mobile devices. No extra steps or programming required. It just works. We excitedly and proudly introduce you that Azura Page builder are now support for Joomla Content component. You don't need any custom plugin to create slider, gallery, video and so on article post format. With just the page builder you have everything. The page builder also supports K2 popular blog and Contacts components. It smartly split your content into intro text and full text which is really easy for you to maintain and beatifully showing on the front-end. Incredible featrue for Joomla media manerger, you don't need to load all images from single folder. 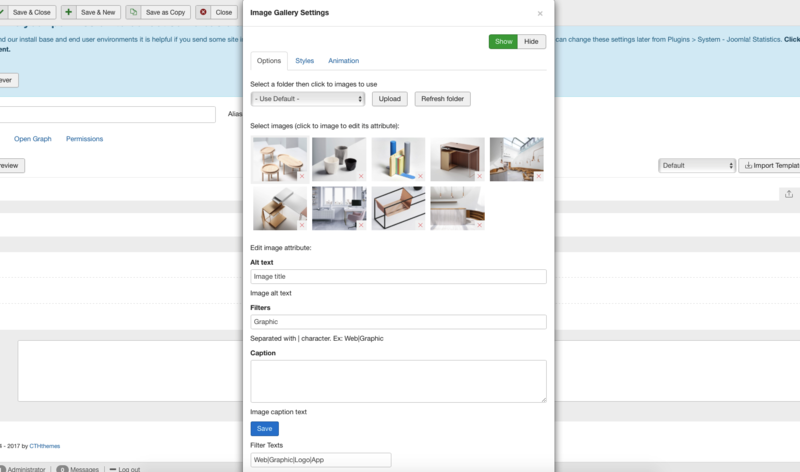 Just select images and edit their attributes. Easily to add new / override elements. Build stunning, content rich pages in minutes instead of weeks. No programming knowledge required! 45+ and extendable elements allow you create any type of page with drag & drop feature. We are more than happy to create new content element or convert your existing one. Finally a component that I've been waiting for so long. It saves me lots of time on crafting template and support is great so far.. Thank you guys for prodelonuyu work. 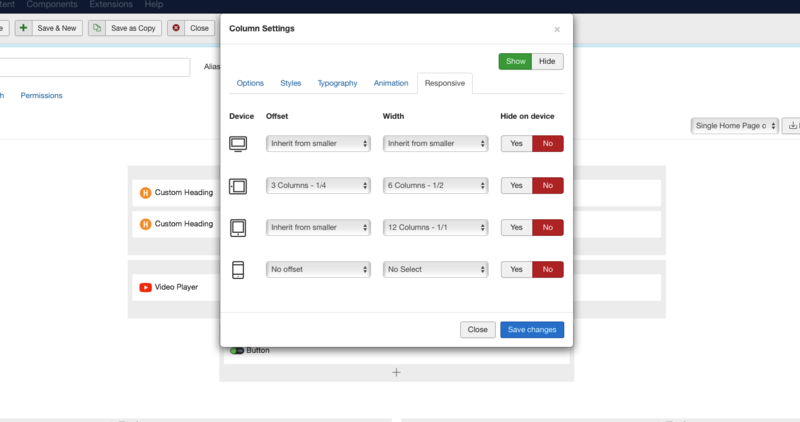 Azura Page Builder component for Joomla that I waited a very long time. Very flexible and easy to manage. This is the bomb! Get a full refund if you are not satisfied within the first 7 days of signing up with us. It does not matter what the reason is, we will issue a full refund. So sign up today for a risk free trial!